Knowledge and Understanding of the World: Children should be able to begin to respect and care for living things and investigate their environment in a variety of ways. Opportunities to develop these skills can be developed through water and sand play, construction and the children's own daily routines. 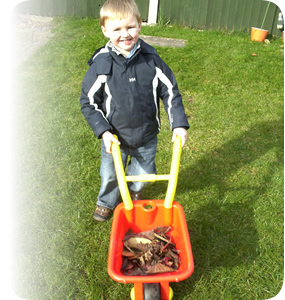 The children at the nursery are taught about being kind to the world around us and nature. We go on adventures into the park and look at the flowers, animals and talk about different types of homes.